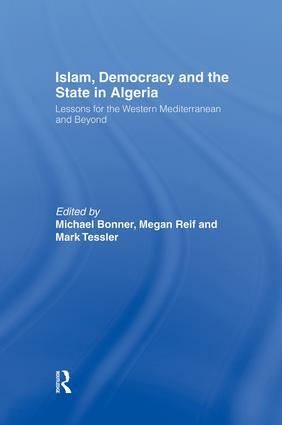 Modern Algeria has been, in many ways, a harbinger of events and trends that have affected the Arab and Muslim worlds. The country's bold experiment in democratization broke down in the early 1990s, largely over the question of whether the Islamic Salvation Front (FIS) should be permitted to come to power following its victories in local, regional, and national elections. A devastating civil war followed. Now that order has been restored and the country has a new government, questions about governance, Islam and international relationships are once again at the top of Algeria's political agenda. How these issues are resolved will not only determine Algeria's future, but will also have important implications for other states in North Africa and the western Mediterranean. Michael Bonner is Associate Professor in Near Eastern Studies and History and Director, Center for Middle Eastern and North African Studies, University of Michigan, USA. Megan Reif is a Doctoral Candidate in Political Science, University of Michigan, USA. Mark Tessler is Samuel J. Eldersveld Collegiate Professor of Political Science and Director, Center for Political Studies, Institute for Social Research, University of Michigan. He also directs the Center for Political Studies of the university's Institute for Social Research.